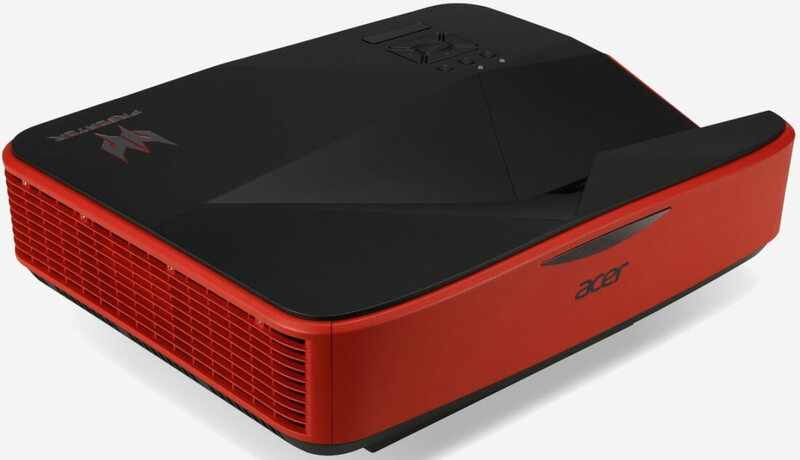 Acer on Wednesday expanded its Predator line of gaming products with a new projector. The Predator Z850 was first unveiled at the IFA electronics show in Berlin last September and was named a 2016 CES Innovations Award Honoree earlier this year. Now, it’s available to purchase for those with deep pockets. The Predator Z850 is said to be the world’s first ultra-wide HD laser projector designed specifically for gaming. It offers a 24:9 aspect ratio at 1,920 x 720 resolution which is far wider than traditional 16:9 displays. The unit’s laser diode lasts up to 30,000 hours and delivers images up to 3,000 lumens with an impressive 100,000:1 contrast ratio. The projector features a top-mounted lens and mirrorless ultra-short-throw technology that allows it to cast 120 inches of goodness at a minimum distance of only 18.5 inches, allowing for use in rooms that might otherwise be too small for a traditional projector. Acer says the Predator Z850 can be packed up immediately after use without requiring a cooling period. The projector is equipped with a plethora of connectors and can be paired with an optional wireless kit to enable 1080p lossless streaming without the cable clutter. The Predator Z850 is available in the US as of writing priced at $4,999. That’s certainly a lot of money to part with, especially considering 4K-capable monitors and televisions can be had for a fraction of that price but it does afford a level of portability that you simply can’t obtain with a 60-inch TV.